Behind the scenes: the story of a very stinky cheese | What's for lunch? This is the first in an ongoing series looking at the making of my book, What’s for Lunch: How Schoolchildren Eat Around the World (out next year from the awesome Kids Can Press in Canada). It’s my first book for kids and it’s been a fun and fascinating experience. I’ve learned tons about what children eat around the world and in the process deepened my understanding of the food system. Along the way there has been lots of reading, writing, interviews with interesting people, and stories hunted down related to school lunch. I figured I’d share some of the best behind-the-scenes details here. Which brings me to today’s story of a very stinky cheese—a tale that speaks volumes not just about cheese (a worthy topic, of course) but also about the limits of the internet as a research tool. The story begins in France, one of the 13 countries covered in What’s for Lunch? There, children have a delicious four-course meal (often including cheese) for their school lunch and are encouraged to stay at the table enjoying their food for up to 45 minutes (some kids in the US have no more than 7 minutes to scarf down their Tator tots and pizza). In any case, during the book’s editing phase I wanted to add a little extra anecdotal information about French cheese, and my very smart editor suggested I hunt down the country’s stinkiest fromage. It turned out that I didn’t have to go far, since a scientist in the UK had already done the legwork. He determined—using both human testers and something called an “electronic nose”—that Vieux Boulogne, made in northern France, is the world’s stinkiest cheese. In the same article—as well as many, many others I found—it was mentioned that it beat out another French cheese called Epoisses de Bourgogne, which the author claimed was so stinky it had been banned from public transportation! I loved the anecdote about the ban (having been on public transit squeezed beside people eating/carrying stinky food) and really wanted to use it, but in the interest of accuracy had to find official confirmation. I decided to go to the source: the Syndicat de Defense de l’Epoisses, of course! The French take their food very seriously so I wasn’t surprised to find a Syndicat de Defense (producer’s association) for this very powerful cheese. I emailed them and a certain M. Risoud told me in no uncertain terms that Epoisses de Bourgogne is NOT banned from public transportation in France. Indeed, the tall tale is one propagated by certain English language media. Zut alors! Even more, M. Risoud recommended that while the smell of Epoisses can be powerful, it is easily masked when travelling on public transportation (or, presumably, anywhere) by wrapping it in a damp newspaper or, better yet, a cabbage leaf! I love this story partly because of dear M. Risoud and his cabbage, but also because it shows how the internet sometimes works. A story is written and—true or not— it gets replicated over and over until it’s nearly impossible to know the truth from fiction. Unless, of course, you are a stinky cheese with a fierce but friendly advocacy organization that’s got your back. If we could only all be so lucky. 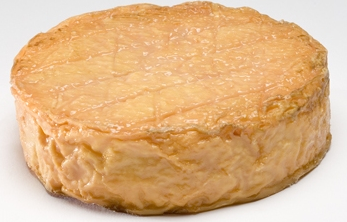 Tagged as eating with kids, epoisses de bourgogne, School lunch, What's for Lunch?